Check out the other winners and all of the fabulous entries. People are terribly creative and talented! Consider joining the fun, no? Big shout out to my home girl, Peabody, who took the whole enchilada. Whoop! Third: Menu for Hope IV is still going strong, but you have got to mosey your mouse over there AND BID. Just don’t bid on the one that I want… No wait, it’s for a great cause – bid away! I don’t care what you bid on, whether it be oh I dunno, a large landscape print from my own hot little hands, or any of the other amazing and tantalizing prizes. Please, just do it, yeah? 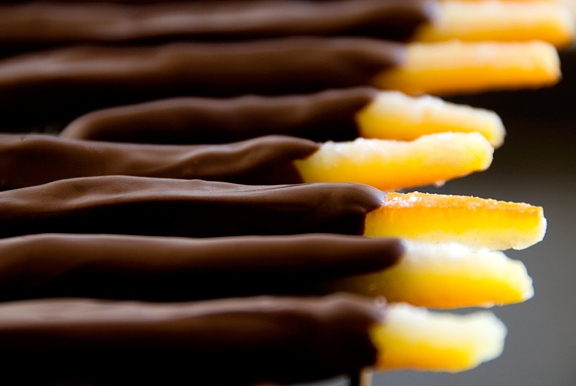 Fourth: There really is a recipe in this post. I made it before I had surgery and had every intention of posting it but… Hell, handbasket. Get in. I grew up eating a lot of greens. My mom prepared them in all manner of Chinese cooking, which is probably why I still love my greens. It’s a sorry sorry sight to see them boiled into a pukey mass, which was de rigueur in the South. My dear man (yes, the one who gave me the head cold) used to give wide berth to many vegetables when we first met. Today, he eats them all with gusto. This simple dish is easy to whip up and just as easy to snazz up. 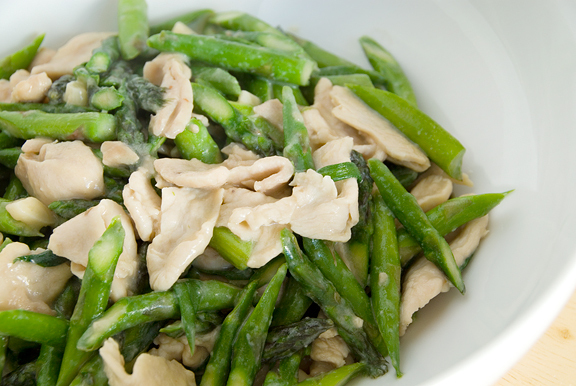 The two main components are asparagus and chicken. If you want to get a little fancy, toss in some straw mushrooms, water chestnuts, and baby corn. My flexitarian (read: eats fish and chicken) pals loooove it. What I learned from my mom was that you stir-fry the meat first, until it’s nearly cooked, but still pink. Then you remove it to a waiting bowl, and stir fry the vegetables separately. When the vegetables are almost done, add the meat back into the pot and give the whole thing several turns in the hot pan and then serve so your vegetables are crisp and hot. How she managed to entertain with multiple stir-fry dishes is beyond me. Moms are amazing like that. Okay, yes – a more holiday-appropriate post to come, I swears it. 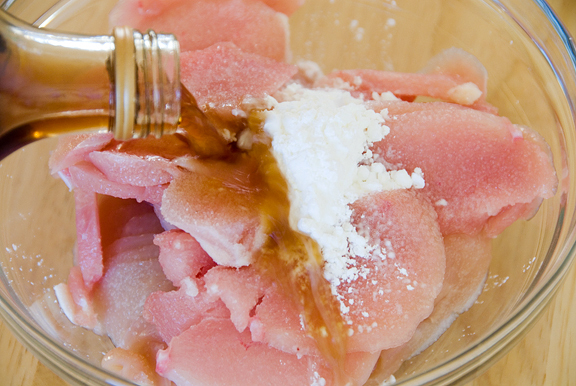 Mix the chicken, cornstarch, sherry, and salt together in a small bowl. Heat 1 tbsp of oil in a wok or large frying pan over high flame. Toss in half of the garlic and onions. Sauté until the garlic becomes fragrant. Add the chicken and stir fry until the meat is just undercooked. Remove the contents to a bowl. Add another tbsp+ of oil to the pan and heat over high flame. Add the remaining garlic and onions and stir until garlic is fragrant. 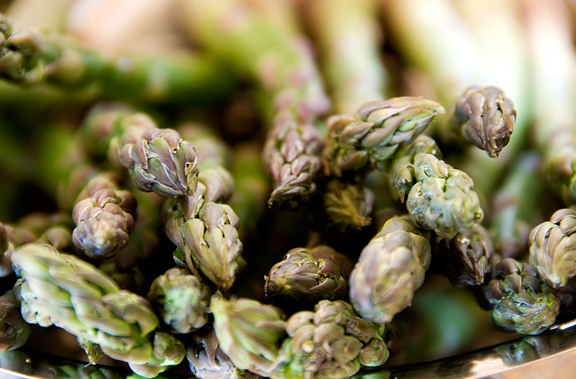 Pour in the asparagus and sauté until the spears begin to turn a deep green. At this point, you can add any additional vegetables and stir fry for another minute. Add the chicken back into the pan and stir fry until it is thoroughly cooked (just a few minutes). Serve immediately. Hope you continue to feel better! Congratulations on your winning picture! Thanks for the shout out! Your photo was gorgeous. And thanks for the recipe…I am so bad about making Chinese at home. Mostly because we go every Saturday to our place and if we miss out they always tell us so. Gretchen – thanks, you’re so sweet. Great looking asparagus dish! How did you cut the chicken so thinly? Kevin – Oops! Sorry I didn’t reply sooner, I am such a loser… The trick to cutting the chicken thinly is to half-freeze it so that it is firm, but not damaging to your Good Sharp Knife. Maybe chuck it into the freezer for an hour? Hey Jen! I just made this recipe for my fiance, Lorna (our pooch) and myself and it was delicious! Though, when I initially tossed the chicken and sauce into the hot (cast iron) pan it immediately dried up all of the sauce! Doh. So I poured a tbsp or two of sherry in and sprinkled some cornstarch and all was well. I wish I could have found the Shao Xing cooking wine at my local grocery, but I used regular cooking sherry instead. I will definitely dress this dish up with some extra veggies next time! Thanks for the great recipe, hope all is well in CO! Wow! This is so good. I happened to have 3 bundles of asparagus and this was the perfect recipe to use for it. I added baby corn, water chestnuts, bamboo shoots and straw mushrooms. Delicious! Very nice photo too! 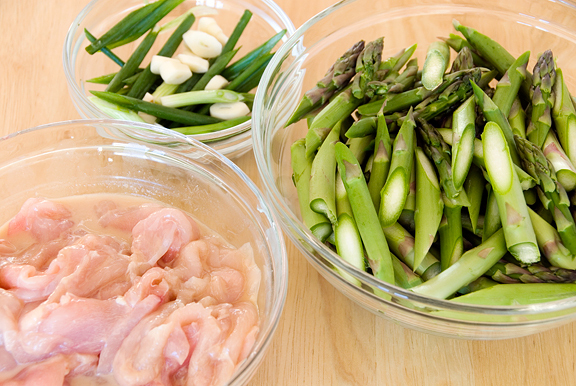 This is a great “go to” recipe for a stir fry! I used some asparagus, green pepper, zucchini, & broccoli leftover from yesterday’s tempura extravaganza!! Thanks so much. Love your sight.